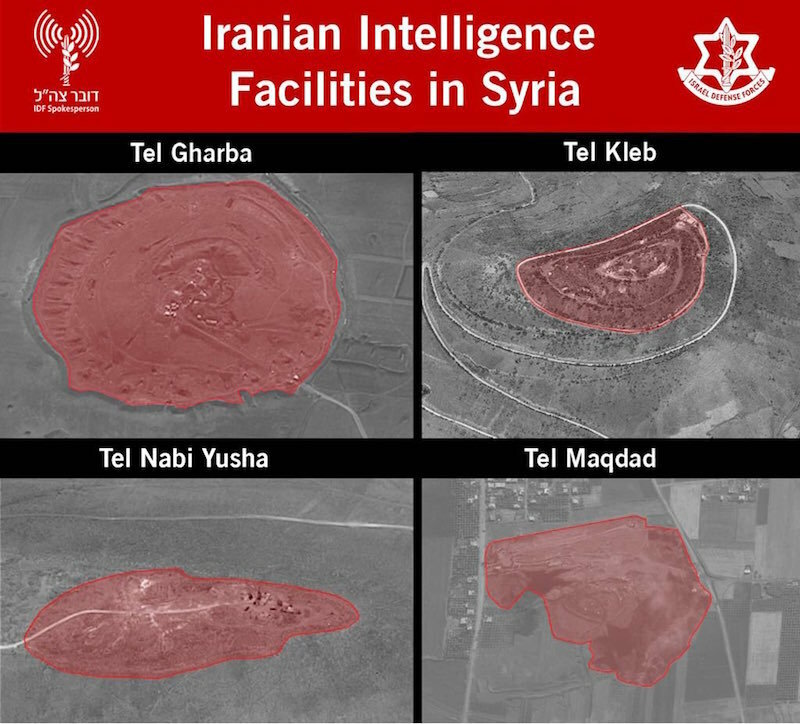 Iran is attempting to make Syria a military post, utilizing its military establishment in Syrian territory to attack Israel and destabilize the area while continually claiming its intentions to destroy Israel. 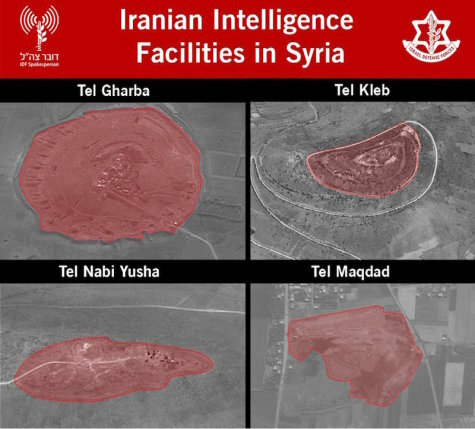 According to military intelligence, the Iranian forces in Syria are planning to launch short-range surface-to-surface rockets towards IDF outposts near the border. Over the past few months, Iran has been transferring munitions to Syria as part of a force build-up against Israel. Iran operates a worldwide terror network transporting munitions systematically across the Middle East. The Iranian military establishment in Syria is a threat to Israel, destabilizing the entire region. Iran’s constant attempts to expand its terrorizing influence in the Middle East, and Syria specifically, is a part of the extreme Islamic ideology of “export of revolution”. Israel has to work against the threat, understanding the strategic danger to its security. On February 10th, 2018, an Iranian UAV (Unmanned Aerial Vehicle) took off from the Iranian T-4 airbase in Syria. The aircraft was detected by Israel’s Aerial Defense Systems at an early stage, and was tracked until its interception by an IAF attack helicopter. The Iranians began accumulating their missiles and launchers in Syrian territory. Some of their munitions were Syrian, utilized by the Iranians for warfare in Syria, and some were surface-to-surface missiles from Iran. Thanks to military intelligence preparation and effective firepower, the IDF managed to prevent the arrival of an advanced weapon from Iran to Syria. The purpose of the Iranians’ planned response was attacking to military outposts while causing damage to Israeli civilians. According to data provided by military intelligence over the last few weeks, the Iranian force in Syria planned a short-range surface-to-surface missile launch towards IDF outposts near the border. Following a situation assessment performed by the IAF, aerial defense batteries were deployed in the north for optimal security to Israel’s civilians. The Aerial Defense Division is constantly developing its capabilities, preparing for various scenarios. The division is prepared to deploy its batteries at short notices in order to provide optimal protection, and allow for minimal damage to Israel’s civilians. Afterwards, it was learned that the Iranians prepared for immediate response that same night. The Iranian response was planned and executed by the Commander of the Islamic Revolutionary Guard Corps in Syria’s Quds Force, General Haj Qasem Soleimani, who operated according to instructions from the Iranian regime. Afterwards, information arrived regarding Iranian plans for an immediate response that same evening. The Iranian response was planned and performed by the Commander of the Quds Force, General Qasme Suleimani, as instructed by Iran. Later on, the IDF successfully identified irregular movement of surface-to-surface short-range missiles operated by Iran, in an attempt to launch missiles towards Israeli territory. These Syrian missiles are operated by the Quds Force under Iranian command as part of internal activity in Syria. The IDF attacked and destroyed the missile batteries and prevented the organized Iranian response. Iran is attempting to make Syria its command station. They are using their military establishment in Syrian territory to attack Israel and destabilize the theatre, all while emphasizing their intention of destroying Israel. Iran is developing frontal lines of fire designed to expand their land bordering with Israel, thus threatening its security. Israel’s target in Syria is Iran and the Quds Force, although the IDF sees the Syrian regime as a sovereignty responsible for the aggression arising from its territory as well. If the Syrians continue to allow Suleimani to use their land to attack Israel, they will pay the price. IDF military intelligence units trace all activity in the border. We do not intend to cause a decline in the stability of the theatre, although we are responsible for Israel’s security. We will not allow any Iranian military establishment in Syria.